The huff and puff thrown into the polity by the Kwara State chapter of the Peoples Democratic Party (PDP) is not only sickening but irresponsible of any political entity. The inability of a political party that had been in government for more than a decade to successfully effect change of its senatorial candidate in Kwara South speaks volume. It is regrettable that this bunch of political neophyte have for long used our state as a nursery bed yet they have not matured. We have discovered that only two pranks are available to them and they have over used them. They have invented violence in the recent time as they did in 2003 to curry unmerited favor and frighten electorates in the metropolitan axes. The script is an old one and their inability to improve upon it shows they have a demagogue steering their ship. We are not surprised that they are about to be consumed by their own game. We know too well that, the foundation course in that camp is "how to say good morning when the sun set". Every dribbler should be careful not to score own goal. However, if they are not out to shift attention away from asking questions on the maladministration and inefficient government foisted on us, Mr. Abdulfatah Ahmed should publish his letter of withdrawal sent to INEC. As stipulated by the electoral act 2010 (as amended), Ahmed must write a letter of withdrawal and depose to an affidavit in a court. Did he do that? The statement of the INEC Resident Electoral Commissioner in Kwara State, Mall. Garba Madami is instructive. The INEC boss stated unequivocally that, PDP didn't substitute Gov. Abdulfatah Funsho Ahmed with Senator Rafiu Adebayo Ibrahim. Since they could fund Mr. Kayode Omotose to publish in a national daily his cherished judgement from Ilorin high court, we challenge Mr. Ahmed and his party to publish his letter of withdrawal submitted to INEC, affidavit on oath and substitution form completed by his brother, Rafiu Ibrahim. There is again no smoke without fire - recall that the last week violence came barely 48 hours after the outburst of their leader, Senator Bukola Saraki. The new script alleging violent attack from O to Ge movement must not be taken with the pinch of salt. They are cooking trouble day and night. 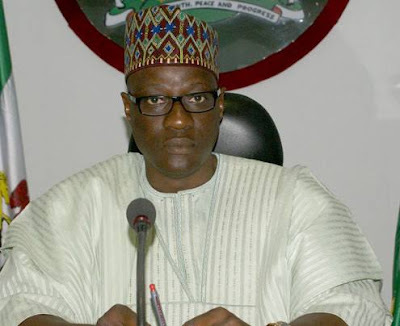 The important thing for Kwara indigenes, and particularly those in Kwara South Senatorial district to note is that they are confused and must not be allowed to come back. We say thank you for misleading us and we conclude that, "O too Ge!". Enough is enough. Ó tó géé in my dear state of harmony.